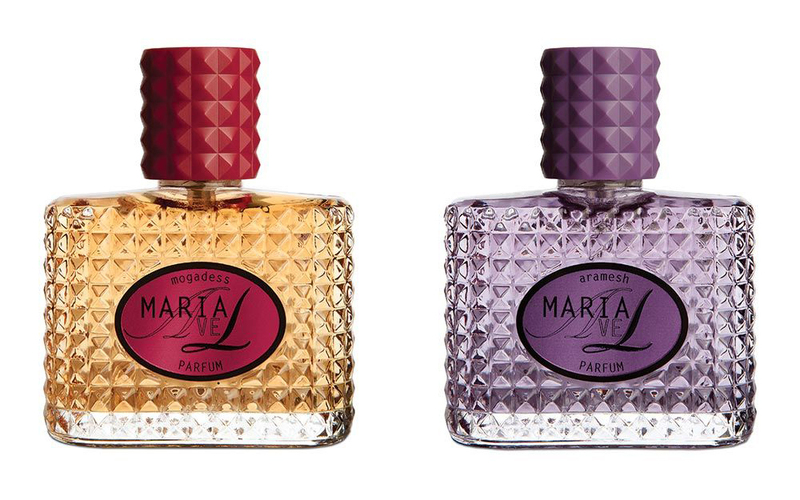 Luxe Associates are excited to introduce two new fragrances from MariaL, which have launched exclusive to Liberty London this month. The new fragrances called AVE MariaL – Aramesh and AVE MariaL – Mogadess are based on the concept of ‘Until death do us part’. MariaL describes the process “After the theme of LOVE I have been inspired by another huge common universal emotion: DEATH. Our birth knows no fear, we don’t know where we begun, we are born free and innocent. When death appears we are filled with fear for the unknown, for loss, for things that lay beyond our human awareness. What if we would fear death less, would life be more fully embraced as well? The universe is based on cycles, seasons, life and death. There is no life without death. She goes onto say, “I have created two perfumes – in collaboration with perfumer Alessandro Gualtieri – to capture these two elements so richly brimmed with all that life and the universe offers: The earth that nurtures life, and the sky that embodies all we cannot hold in our hands, the spiritual. In my weightless hours cover me with flowers ‘Aramesh’ means ‘peace’ and is about inner peace, that moment of total bliss, you feel weightless, free of burden, one with the universe, floating in the ‘sky’: When nothing becomes all, narcotic, alluring, overwhelming. Rose Absolute, Neroli, Iris, Geranium, Heliotrope, Jasmin, Absolute, Carnation, Amber, Start-Anice, Armoise, Guaiac Wood, Cedarwood, Honey, Cinnamon, Sage, Sandelwood, Patchouly, Oudh/Agarwood, Ylang Ylang, Civet, Vanilla, Musk. From break of dawn until the end of day I still love you, you know, I love you ‘Mogadess’ means ‘sacred’ and is about LOVE. Love is sacred, we are love, a true gift of life, which I wanted to express in its ‘earthy’ form: Full of warmth, rich, spicy, nourishing. Orange Blossom, Red Pepper, Bitter Orange, Strawberry, Tagette, Rosewood, Benzoin, Cacao Extract, Cinnamon, Bark, Cardamon, Cedarwood, Coriander, Estragon, Sandalwood, Olibanum, Amber, Vanilla. Both fragrances are now available at £128 for 50ml parfum, exclusive to Liberty London in the UK.